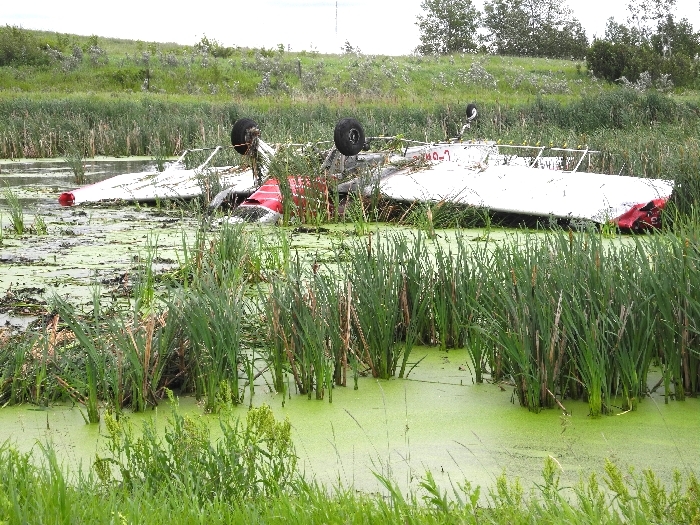 On July 4, 2018, shortly before 10:00 am, Russell RCMP responded to a plane crash at the Russell Airport, in the southwest corner of Russell, Manitoba, off Highway 16. A southbound, single occupant sprayer plane attempted to land on the runway, lost control, and flipped into a swampy area. The 53-year-old male pilot, from Winnipeg, received minor injuries, but does remain in hospital at this time. At the time of the crash, the winds were strong. The runway was shut down while RCMP held the scene. It has since reopened. The Transportation Safety Board has been notified.